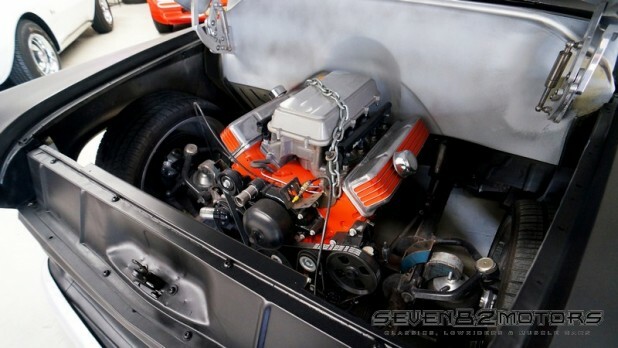 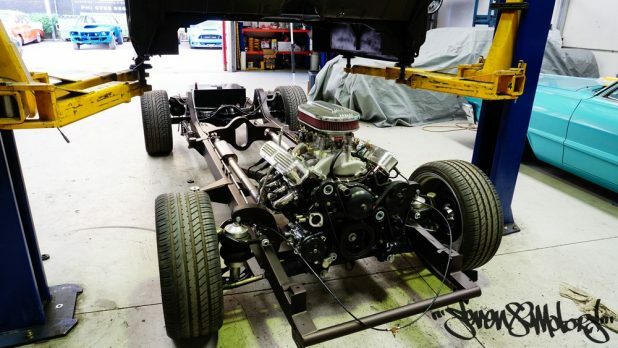 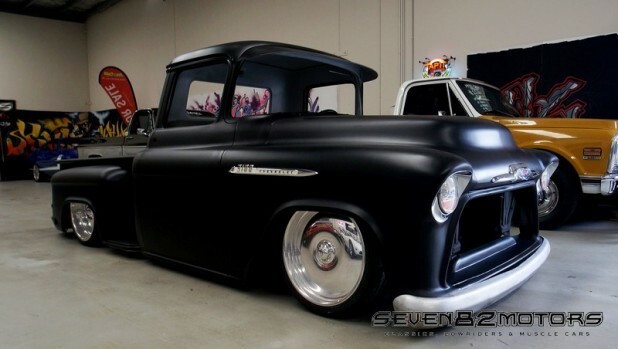 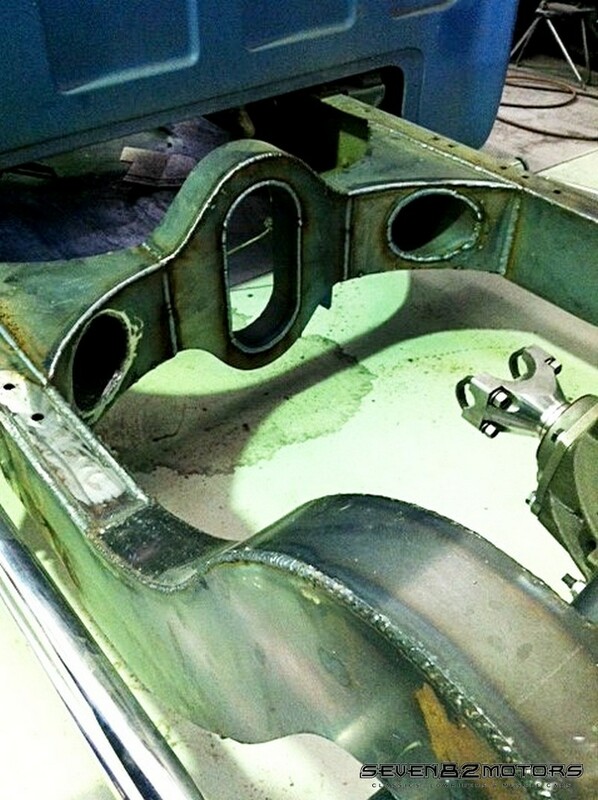 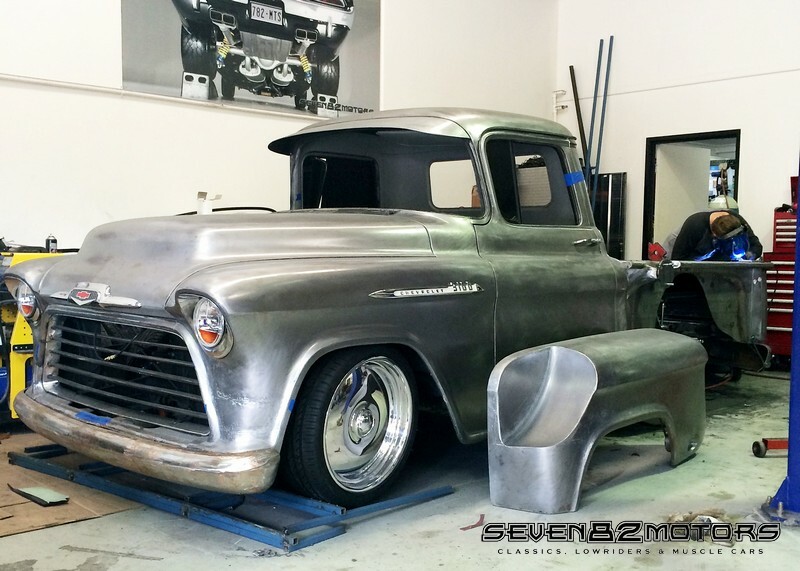 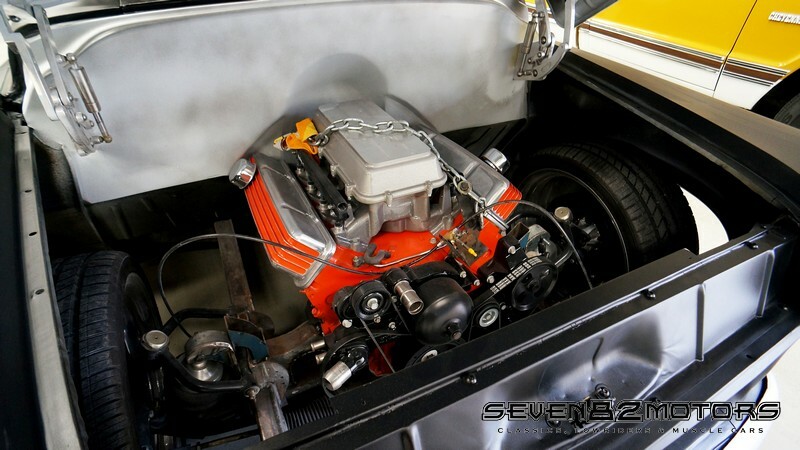 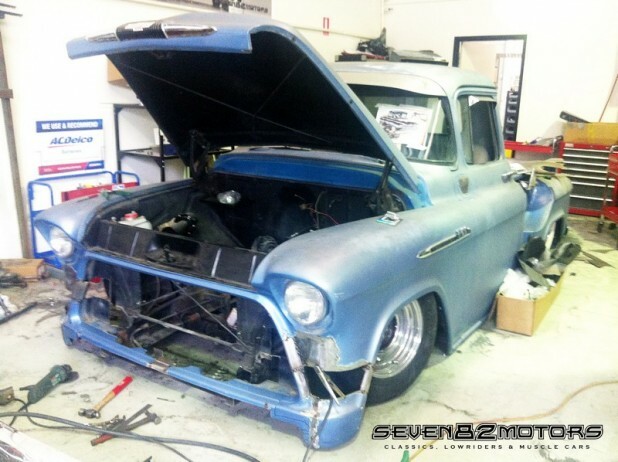 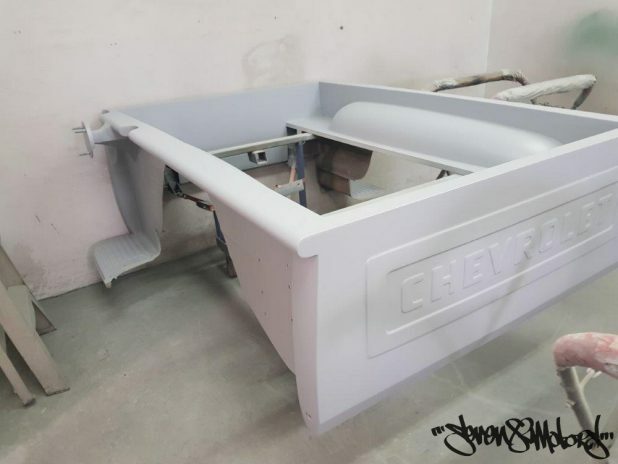 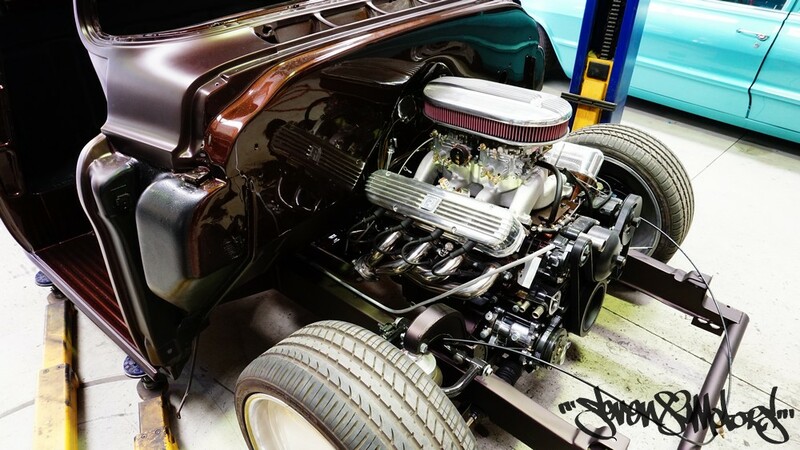 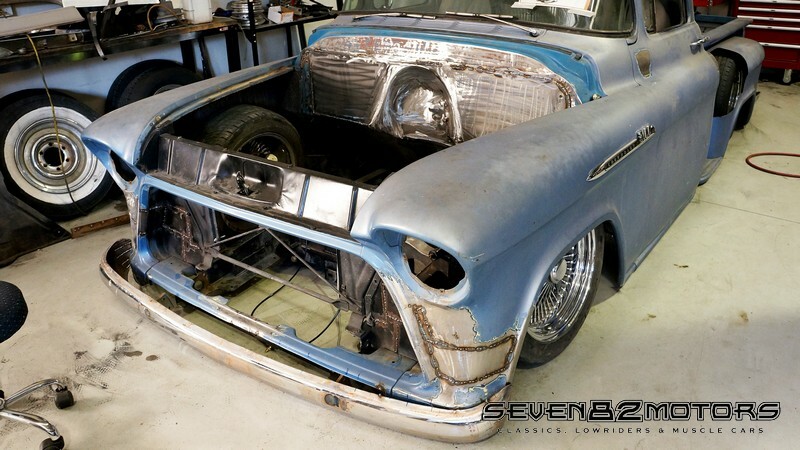 So here’s a 56 Chevy that we are building for a customer. In this case we did what we love to do and start from the ground up… literally. 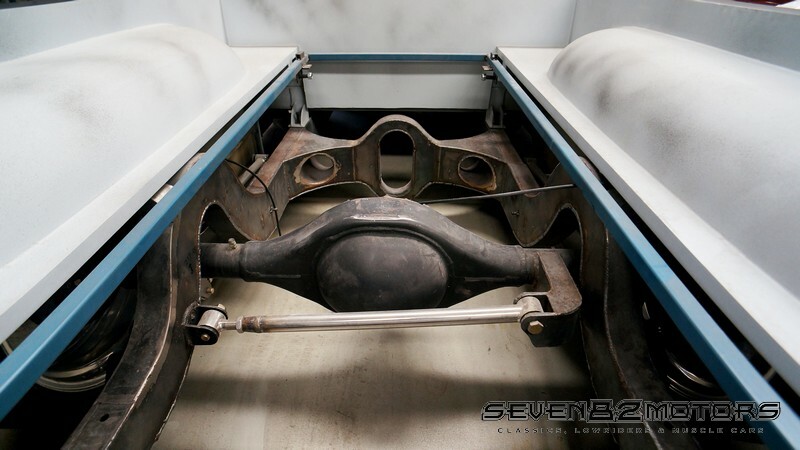 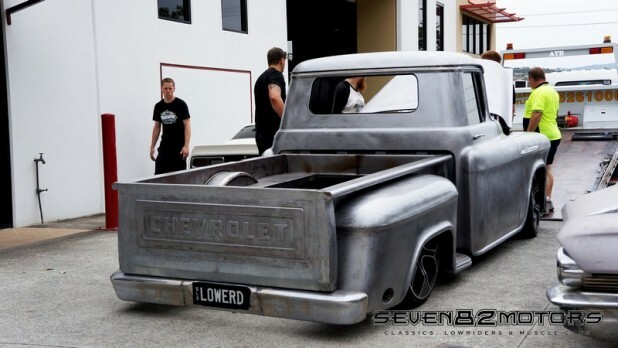 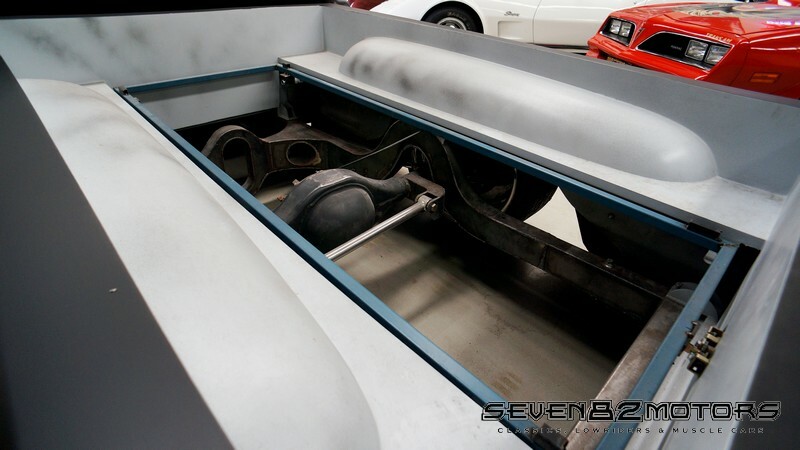 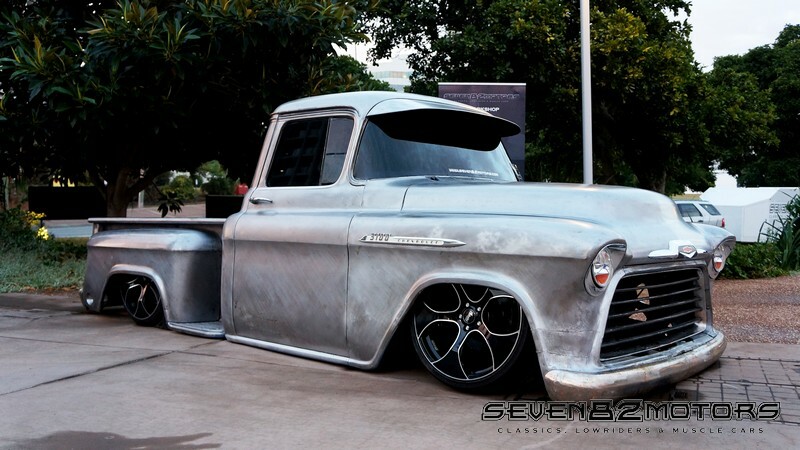 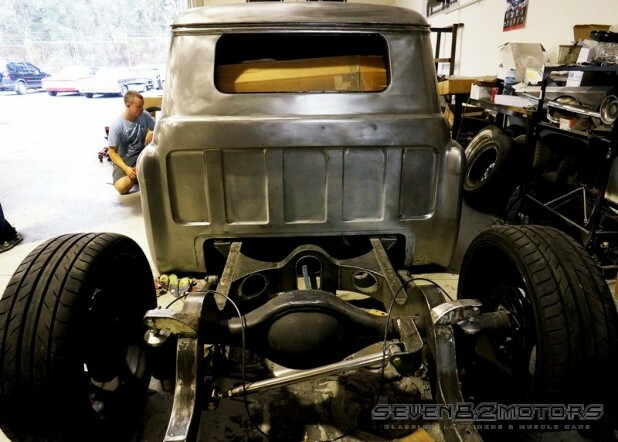 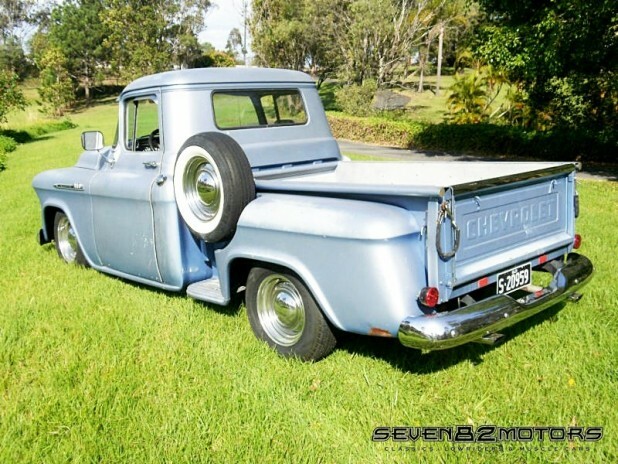 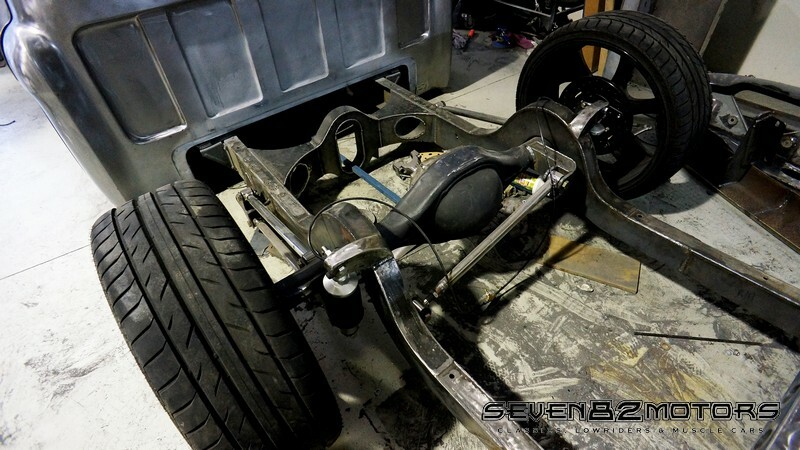 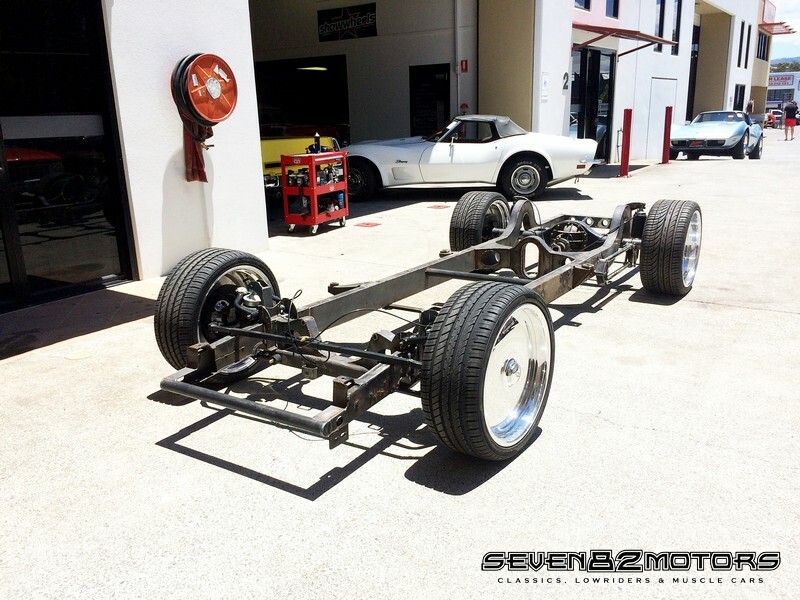 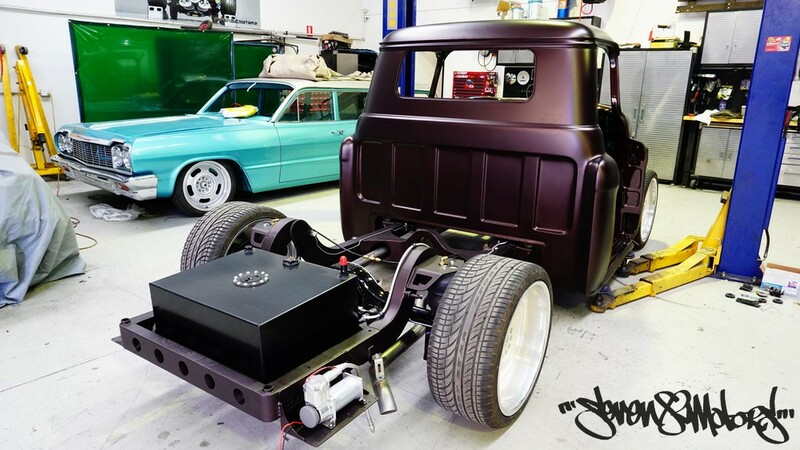 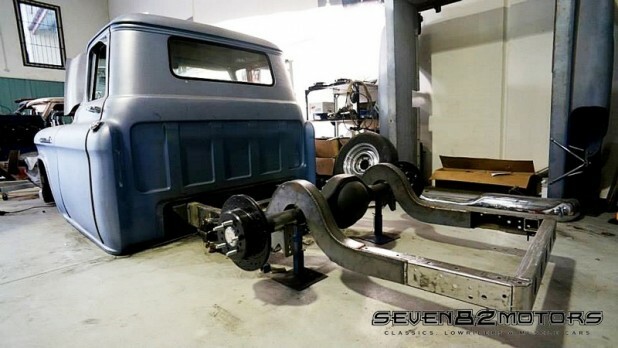 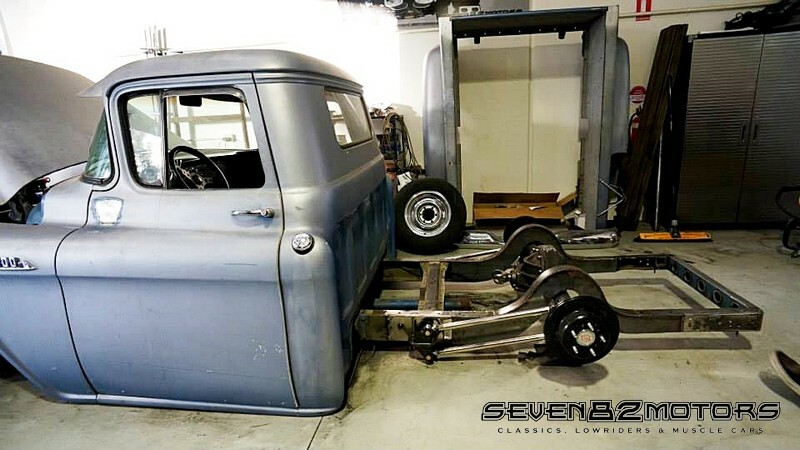 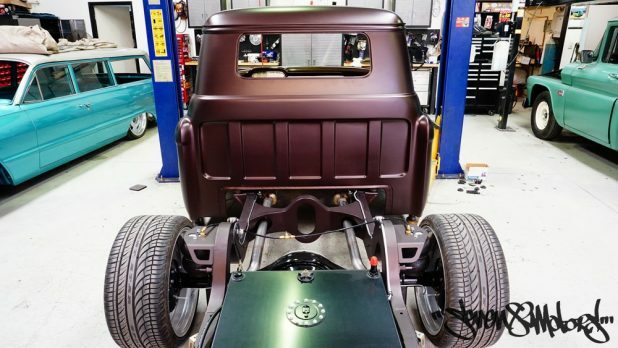 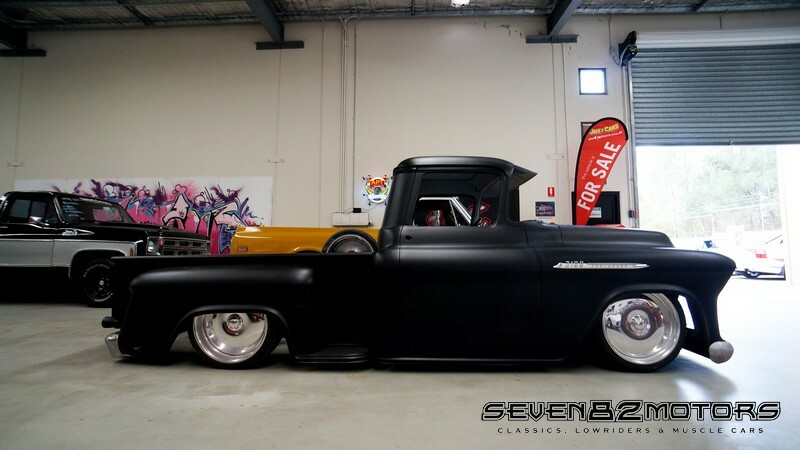 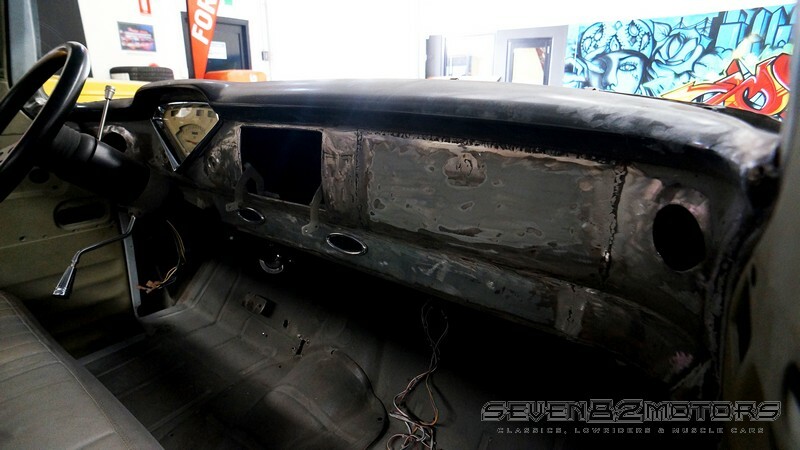 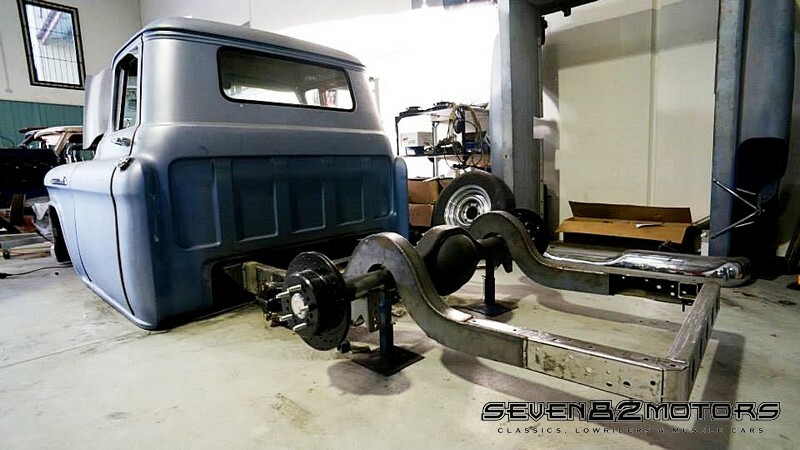 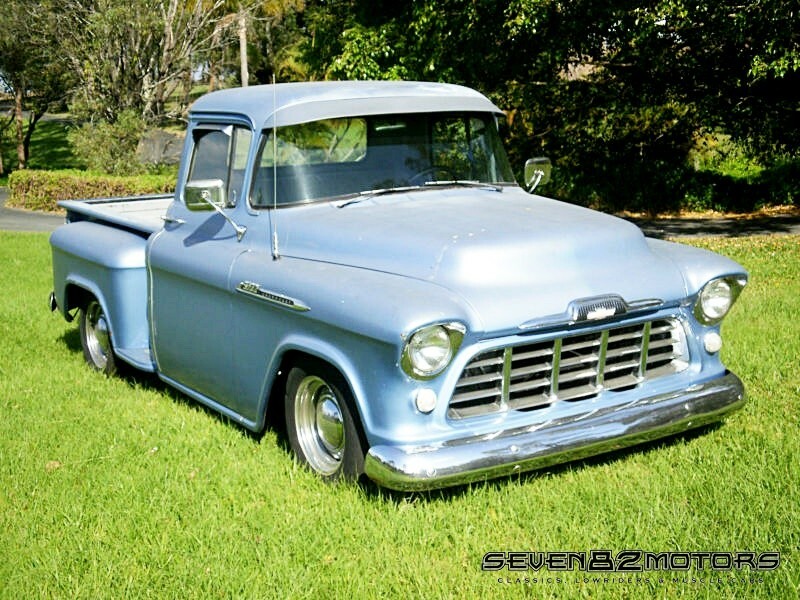 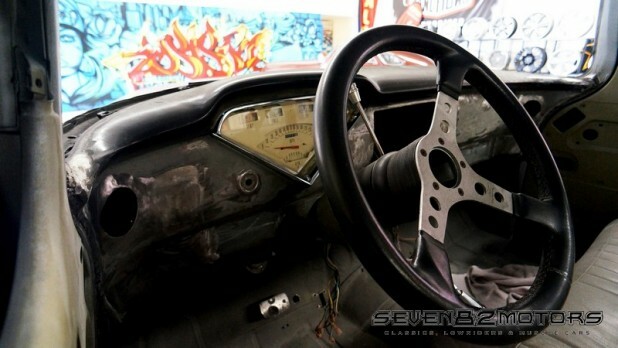 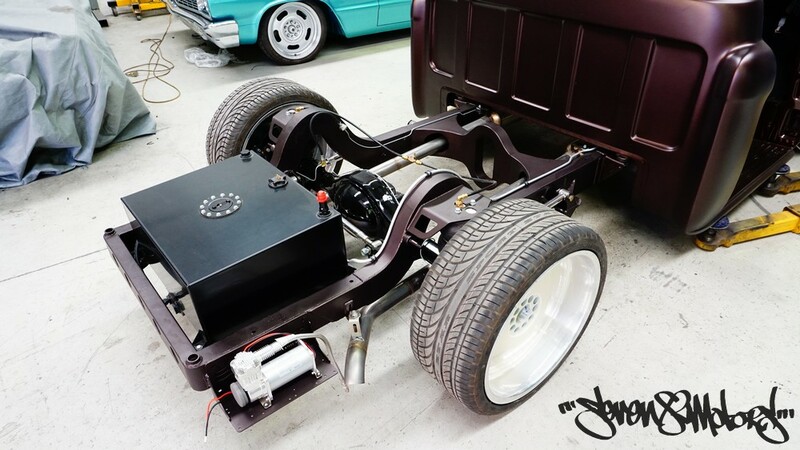 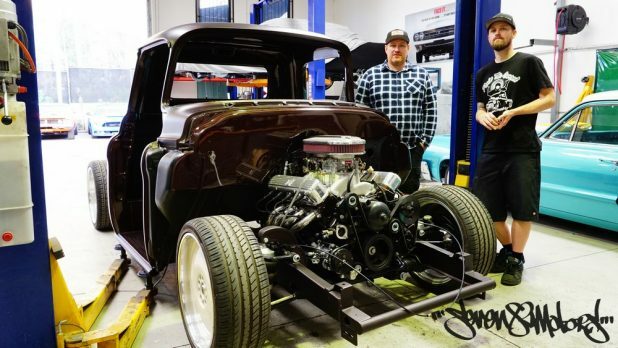 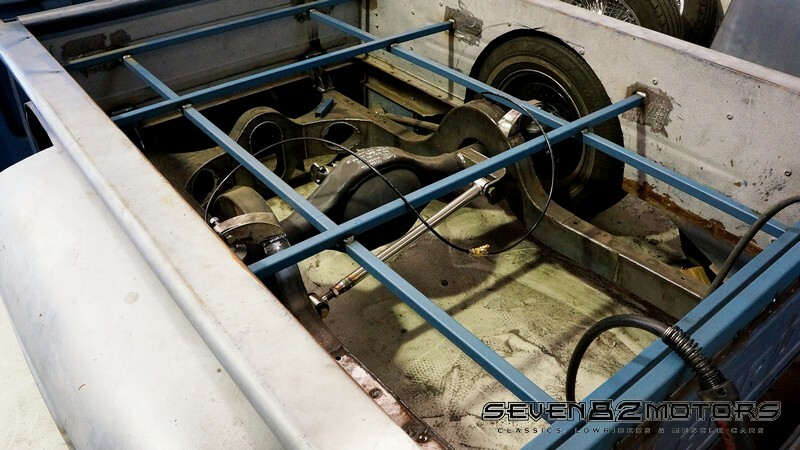 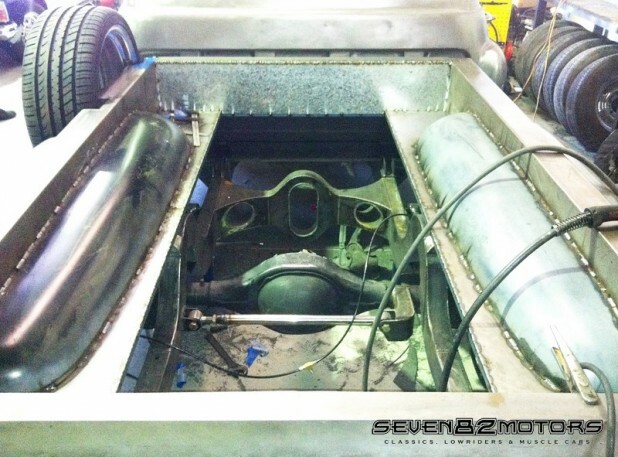 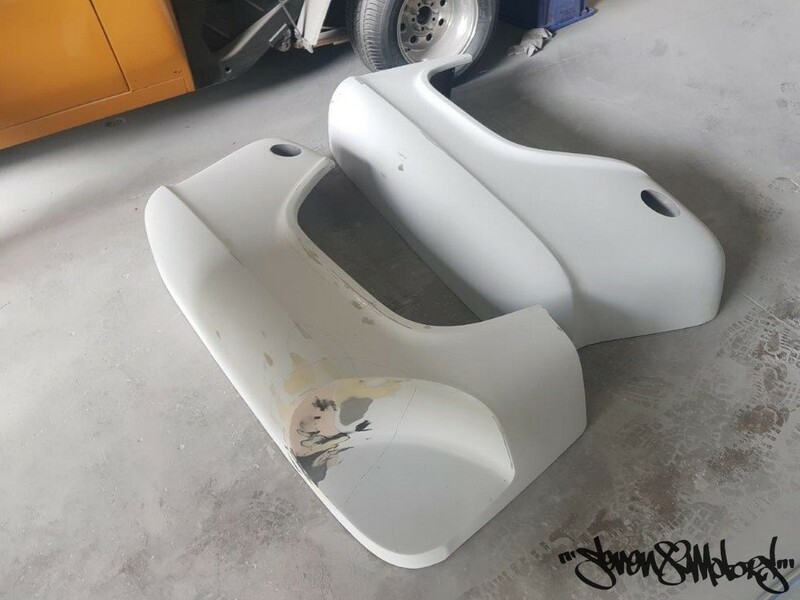 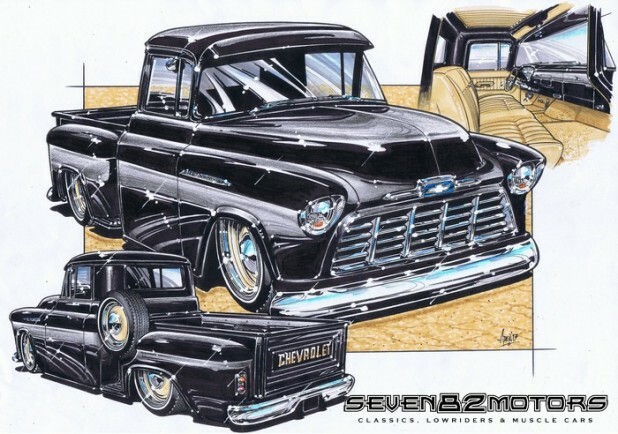 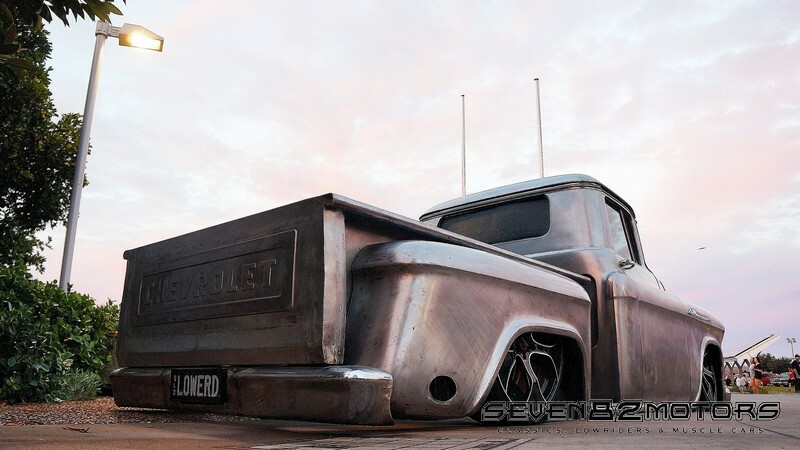 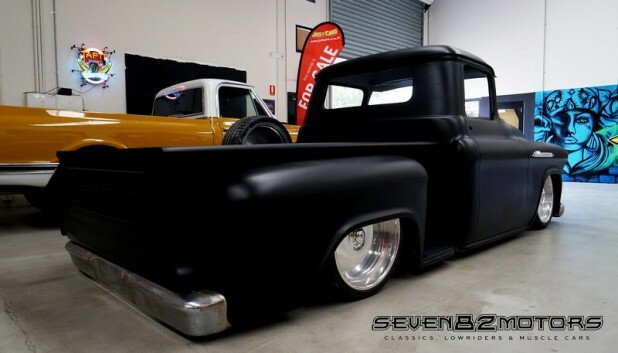 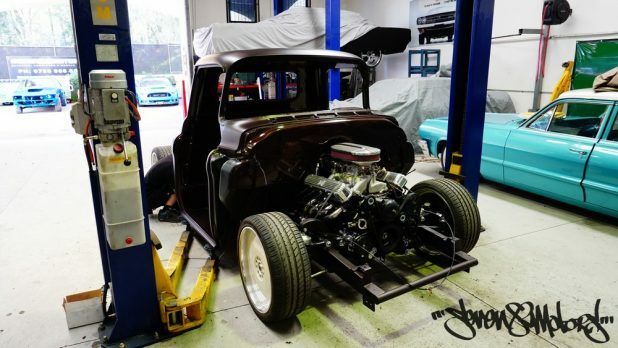 The body was laid out on the chassis to lay sill, everything else had to look factory but lay flat, so often you see these trucks lay out and the front and rear bumpers don’t touch the ground… Boo! 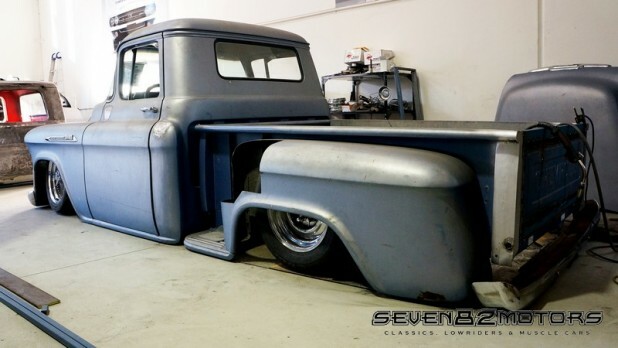 Not this bad girl, she got the full ground effect and this sucker lays as hard as you can make them with a custom cut and shut grill to take a fee extra teeth with a modified front bumper to tuck it all in tight, the rear go the same treatment with a new rear bumper modified to fit and look like it should have always been there. 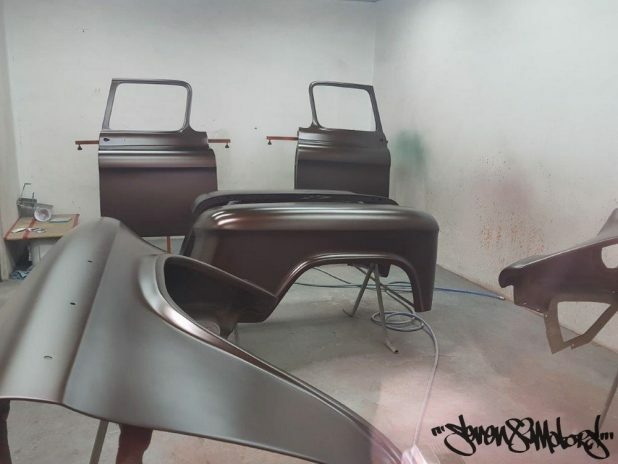 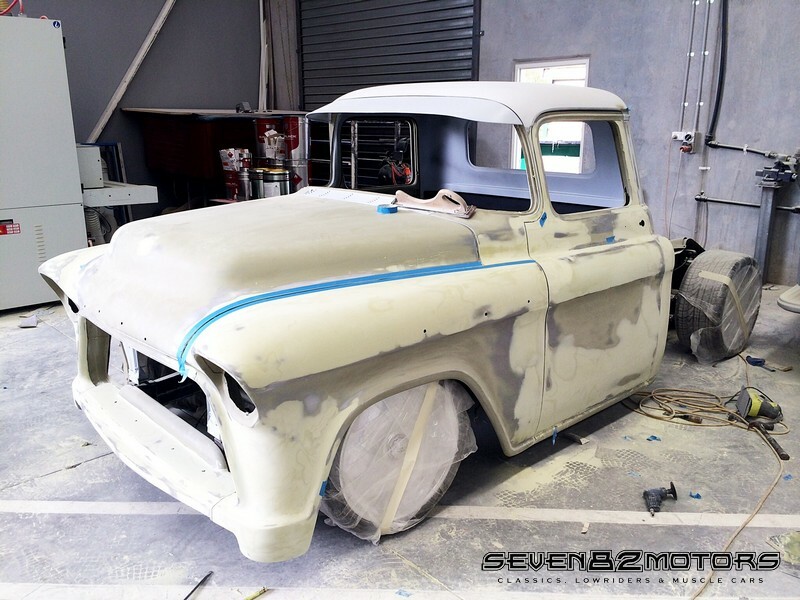 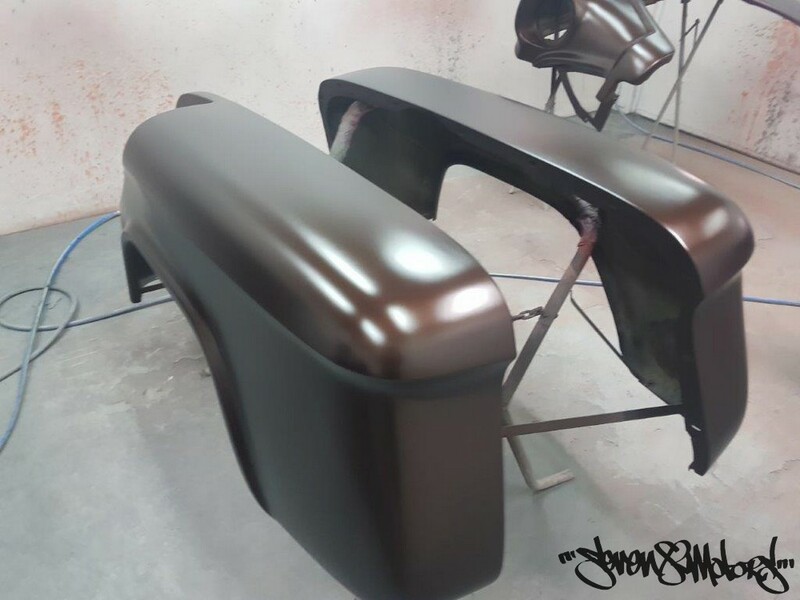 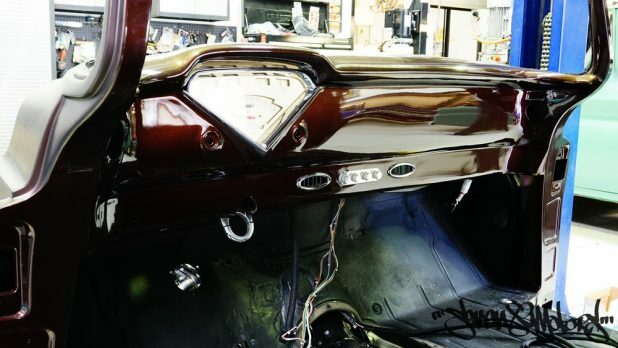 This truck is full of so many custom touches and will sure be a head turner and one to keep an eye out for once we finish it. 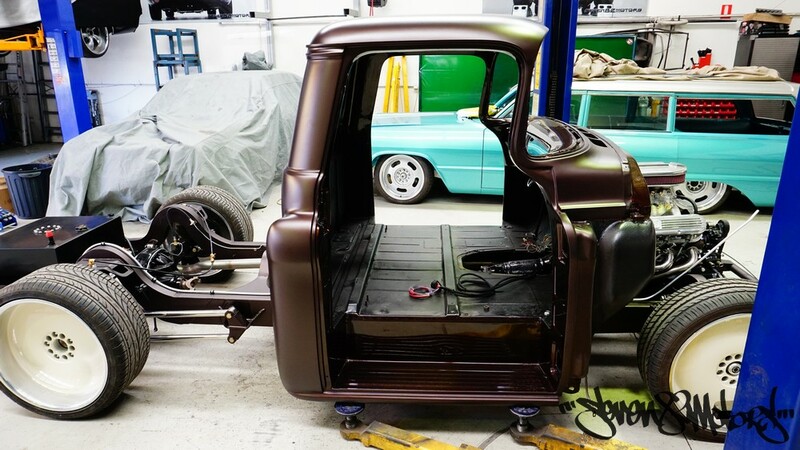 If you’re looking to build something cool give our build shop a call on 0755 966 566 and see if we can help get all the cool stuff out of your head and onto the street!